As part of our Literary Archive Poetry celebrations on the afternoon of Saturday 28th February, we need some student volunteers in the Library to help us showcase Newnham poets past and present. Jobs we need help with include meeting and greeting alumnae and their guests, guiding members of College and visitors around the various library displays of poets past and present, and introducing members of College and visitors to our guest poets who will be talking about their work. 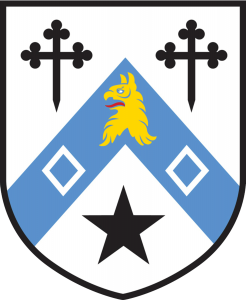 Do get in touch with Debbie Hodder (librarian@newn.cam.ac.uk) if you are interested in helping, and let us know which jobs particularly appeal to you! 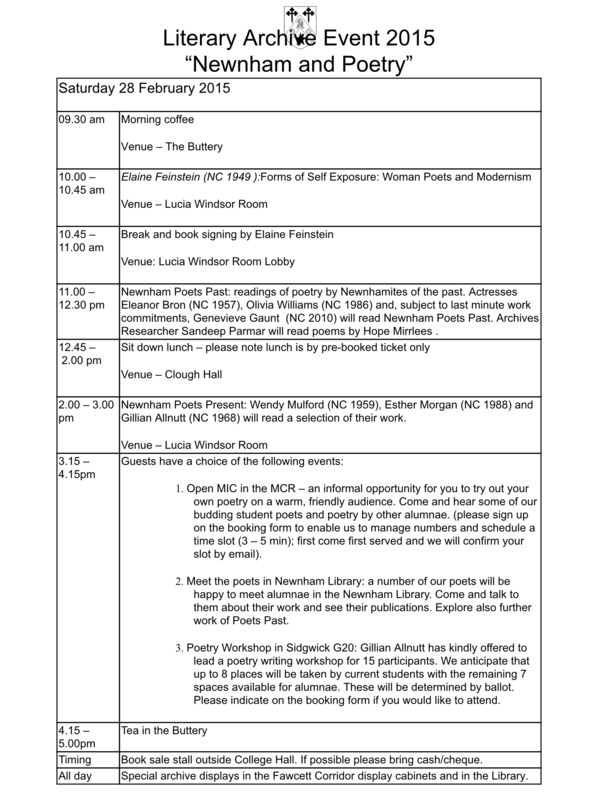 Please see the programme below and we will of course be offering tickets to students to come and hear the talks by our eminent poets; if you come to help you get priority. Please also let us know if you would be interested in participating in the afternoon poetry workshop – you don’t need to be an English student – if you are a budding poet and would like to join it – we want to hear from you!